1. 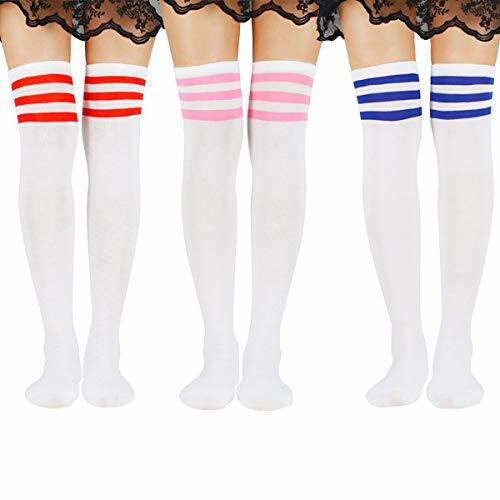 Our casual knee high socks are made from soft and comfortable fabric. They have good elasticity and will not fall down. A must have accessory for you, keeps you fashion and stylish. 2. New classical design over knee high thigh socks are thick and very warm for the cold weather. 3. Zando long socks are perfect for family, sisters, friends, lovers as a gift to show your care and love. 4. Fashion and cute knee high leg warmers will be your favorite choice for accessorizing. Stylish to wear with boots, booties, over stockings, jeans, leggings or skinny pants. One size, fits for XS, S, M.
If you have any questions about this product by Zando, contact us by completing and submitting the form below. If you are looking for a specif part number, please include it with your message.